We have a three-game early slate on tap today with plenty of pitching options. Sanchez has really pitched well for the Braves, posting a 3.86 SIERA with a strikeout rate of 25% this season. He’s one of the only pitchers on the mound today that has a soft contact rate that is nearly as high as his hard contact rate. Unfortunately, he draws a difficult matchup on the road against a trending Nationals’ offense. Why take Sanchez against the Nationals when you can target Junior Guerra against the Padres at a cheaper price point? Quick Breakdown: Sanchez is viable as an SP2 in tournaments, but I prefer other options. Gonzalez isn’t a bad pitcher by any means, but he’s not one that I go out of my way to target in DFS. In 21 starts this season, he owns a 4.64 SIERA with a strikeout rate of 21% and a walk rate of 12%. His high walk rate and refusal to throw strikes out over the heart of the plate leads to a high pitch count. This is why we rarely see him pitch more than seven innings in any single outing. 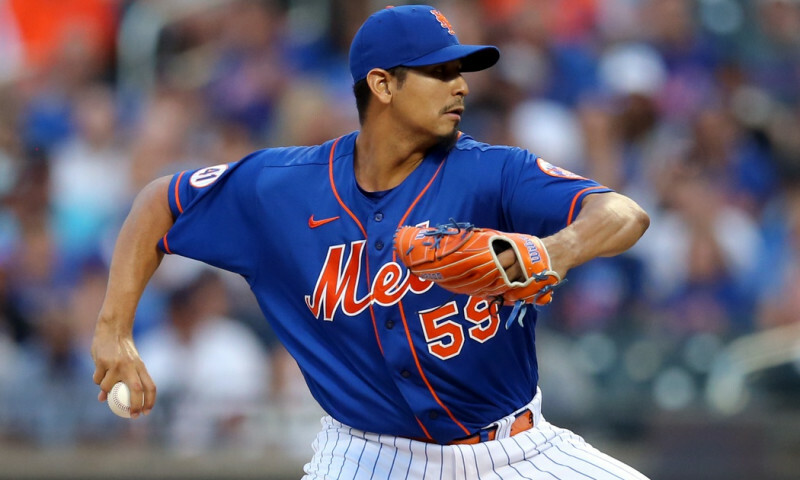 To make matters worse, he draws a difficult matchup against the Braves, who have seven batters in their lineup with at least a .320 xwOBA and at least a .170 ISO against southpaws this season. Quick Breakdown: Avoid Gonzalez in all formats. The Braves are underdogs today, but the total for the game is set at 9.0 runs, which is high for this ballpark. They draw a decent matchup against Gio Gonzalez, who has allowed a .339 xwOBA and a 32% hard contact rate to batters from the right side of the plate. Ronald Acuna, Ozzie Albies, Kurt Suzuki, Adam Duvall, and Johan Camargo all bat from the right side and all have good power numbers against southpaws. Even though Freddie Freeman is left-handed, he has a good track record against Gonzalez in his career — 15-for-48 with four home runs and six doubles. The Nationals have a difficult matchup on paper, as Anibal Sanchez has managed to hold both left and right-handed hitters under a .310 xwOBA and under a 32% hard contact rate this season. With that said, their offense has started to break out of its funk since the All-Star break. We know the talent is there, as six of the first seven batters in their lineup has a .375+ xwOBA against right-handed pitching this season. We have two elite pitchers on the mound today in Cleveland. In 22 starts this season, Berrios has a 3.61 SIERA with a strikeout rate of 25% and a walk rate of 5%. Even though I talked some of you off of him in his start against Toronto a few weeks back, it’s still worth pointing out that his splits on the road haven’t been nearly as good as his splits at home. 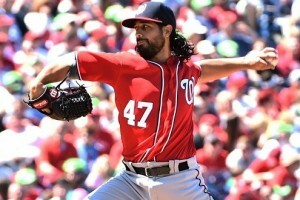 His strikeout rate takes a big dip and he averages nearly ten fewer fantasy points per start. Add in a matchup against the Indians and he becomes an easy fade in all formats, even though his price is discounted. Quick Breakdown: Avoid Berrios in all formats. Kluber had a couple of bad starts against the Yankees and Pirates, but bounced back nicely against the Tigers and Angels. On the season, he owns a 3.33 SIERA with a strikeout rate of 25% and a walk rate of 3%. 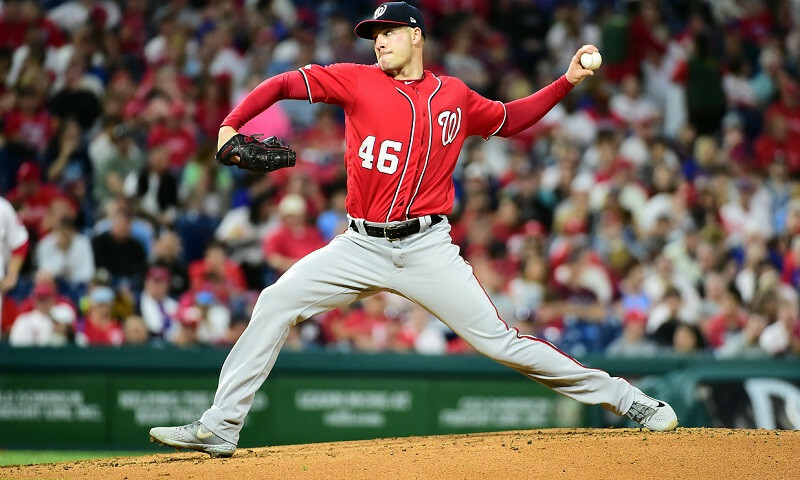 He’s always pitched well at home and he’s been dominant against the Twins, holding their current roster to a .300 wOBA with 48 strikeouts in 178 plate appearances. 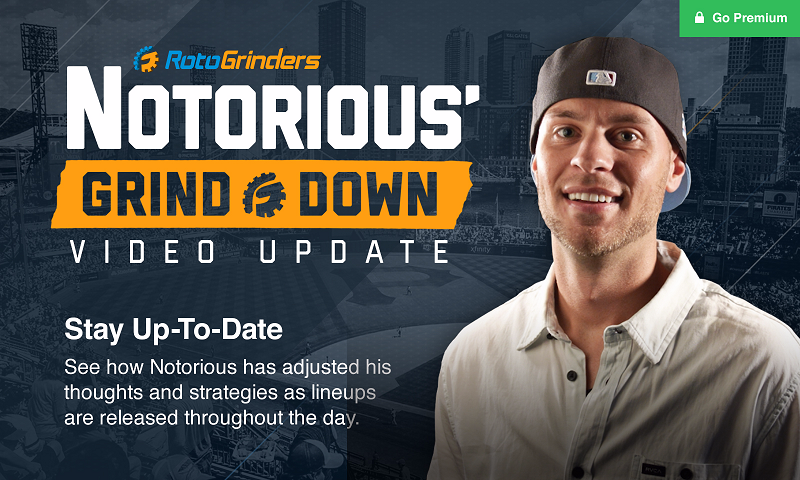 He’s the top pitching option of the early slate and a tough fade at this price point. Quick Breakdown: Kluber is an elite play in all formats. The Twins have the worst matchup of the slate. Corey Kluber has an above-average strikeout rate and has held both left and right-handed hitters under a .315 xwOBA. As mentioned above, the Twins haven’t been able to figure him out in the past and I don’t see why that’s going to change all of a sudden. Even though there are only six offenses to choose from in this early slate, we can cross the Twins off our list of potential targets. The Indians let everyone down last night against Jake Odorizzi, but that’s going to happen in baseball. They are still one of the most talented offenses in baseball and they can still pop at any time. Today’s matchup against Jose Berrios isn’t nearly as enticing, but he has struggled a bit on the road this season. If I had to rank the offenses to target in this slate (with price factored in), the Indians would likely come in behind the Braves, Nationals, and Brewers. With that said, they certainly have plenty of upside, as each of the first five hitters in their lineup has a .385+ xwOBA against right-handed pitching. 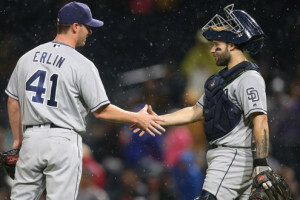 Erlin has pitched well in his three major league starts this season, posting a 3.09 SIERA with a 22% strikeout rate and a 3% walk rate. He’s never been a high-strikeout pitcher, but it’s always hard to tell because he struggles to stay healthy. In his first start back from injury, he threw 79 pitches. If all goes well, that number should increase today, but he has a tough matchup against the Brewers. Milwaukee’s projected lineup has five hitters with at least a .350 xwOBA against southpaws this season. 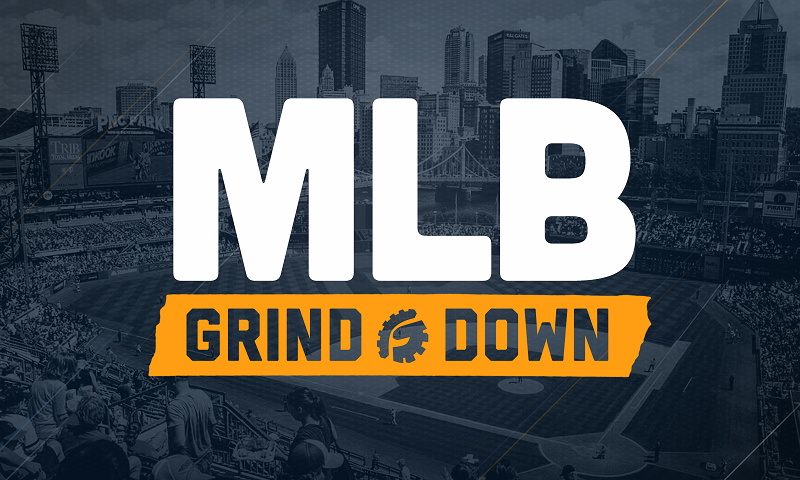 Quick Breakdown: An argument can be made for Erlin on DraftKings ($4,600), but he’s not a core play in the early slate. 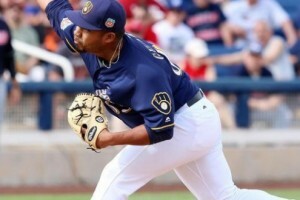 Guerra has fared well in his 21 starts this season, posting a 4.31 SIERA with a strikeout rate of 23%. The big red flag in his pitching table above is that his hard contact rate (41%) is higher than his ground ball rate. While that can be a problem against talented offenses, the Padres don’t have a lot of firepower in their lineup. In fact, today’s projected lineup has a .261 xwOBA with a strikeout rate of 35% against right-handed pitching. Quick Breakdown: Guerra will be chalk, but I don’t see any viable pivots. He’s an elite play in all formats. The Padres have struggled offensively ever since I started playing DFS and that was at least six or seven years ago. While they do see a ballpark upgrade playing in Milwaukee and while they do have a decent matchup against Junior Guerra, this isn’t an offense that I want a lot of exposure to. They don’t have a single batter in their projected lineup that has an xwOBA over .320 against right-handed pitching this season. The Brewers have a difficult matchup on paper, but we haven’t seen much from Robbie Erlin in the last couple of seasons. His last full season was back in 2015 and he posted mediocre numbers at the minor league level. Given the fact that I expect Erlin to garner some ownership, this could be a good leverage spot to load up on the Brewers’ righties. Lorenzo Cain, Jesus Aguilar, and Ryan Braun all bat from the right side and all boast a .200+ ISO against left-handed pitching this season. 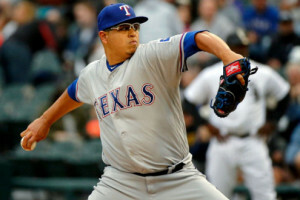 Jurado will be making his fourth career major league start and arguably his toughest to date. We are still working with a small sample in the majors, so let’s look at his minor league stats. In 16 Double-A starts this season, he has a 4.52 FIP with a strikeout rate of 14%. Those are far from pretty, especially considering the fact that they were two levels below the big leagues. This could get ugly quickly, as the Yankees’ projected lineup has a .341 xwOBA with a .187 ISO and a 37% hard contact rate against right-handed pitching. Quick Breakdown: Jurado is an easy fade in all formats. 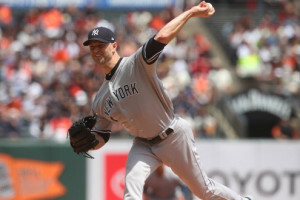 Happ made his Yankees’ debut against the Royals, striking out two batters in six innings of work. He then took a quick trip to the DL with hand, foot, and mouth disease. We shouldn’t expect him to be on a pitch count tonight, as he takes on the Rangers, who are a very boom or bust offense. Their projected lineup has an average xwOBA of .314 with a strikeout rate of 23%. Happ offers upside at this price point and he comes into the game as one of the largest favorites of the slate. 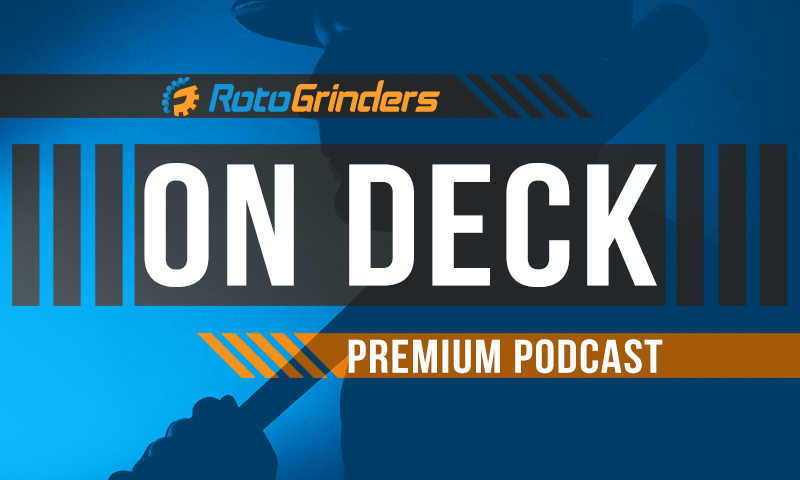 Quick Breakdown: Happ is viable in tournaments, but there are safer options in a cash game setting. The Rangers go from one hitter-friendly ballpark in Texas to another in New York. Their matchup against J.A. Happ is fairly difficult, as he boasts a 27% strikeout rate while holding both left and right-handed hitters under a .315 xwOBA and under a 31% hard contact rate this season. Righties have certainly had more success against Happ than lefties, but I don’t see any batter in this lineup as an elite play. Elvis Andrus, Adrian Beltre, Jurickson Profar, and Robinson Chirinos are all secondary plays at their respective positions. The Yankees could score 15 runs tonight without blinking an eye. They are facing a pitcher that had subpar numbers at the Double-A level earlier this season. 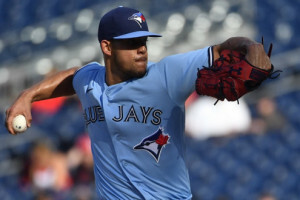 Ariel Jurado only has three major league starts under his belt, but has allowed a .380+ xwOBA and a 37%+ hard contact rate to both left and right-handed hitters. A full Yankees’ stack is viable and there are a number of ways that you can build it since this lineup is littered with firepower. Individually, Didi Gregorius, Aaron Hicks, Gleyber Torres, and Greg Bird are all elite options. 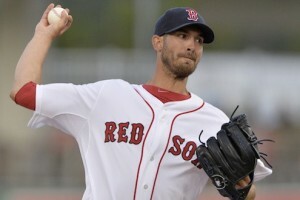 Porcello has quietly had another solid season for the Red Sox. He’s not a pitcher that is targeted often in DFS, largely thanks to the fact that he rarely draws a good matchup in a pitcher-friendly ballpark. Once again, he doesn’t have either in his favor tonight, as he takes on the Blue Jays in the hitter-friendly Rogers Centre. Luckily, he seems to have this offense figured out. 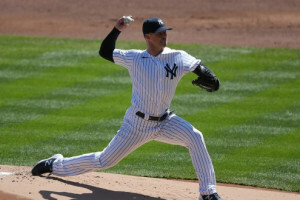 He has held Toronto’s current roster to a .308 wOBA with 52 strikeouts in 252 plate appearance. Quick Breakdown: I’m not sure I can roll the dice with Porcello here, but an argument can be made for him in tournaments. Borucki may have a 2.30 ERA, but regression is right around the corner waiting for him. He’s unlikely to sustain this level of success moving forward, as he owns a 4.50 SIERA with a strikeout rate of only 17%. He does have a decent ground ball rate and he has managed to limit hard contact, but we are still dealing with a small sample size here. 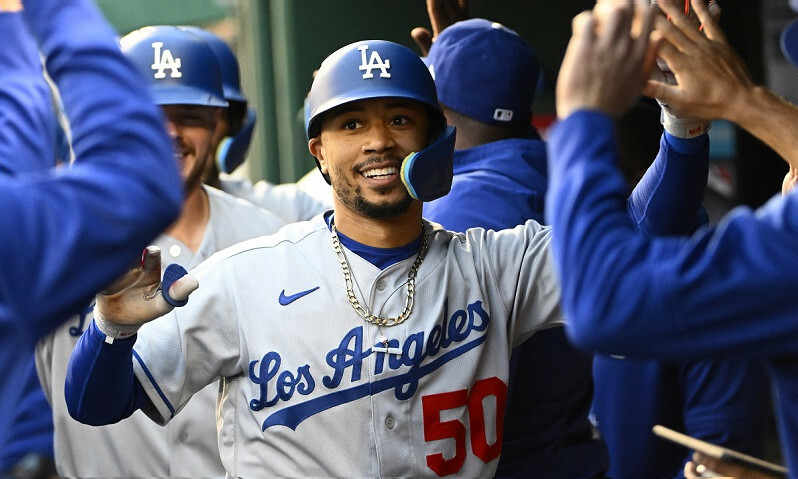 He draws a difficult matchup against the Red Sox, whose projected lineup has an average xwOBA of .355 with a 34% hard contact rate against left-handed pitching. Quick Breakdown: Borucki should be avoided in all formats. 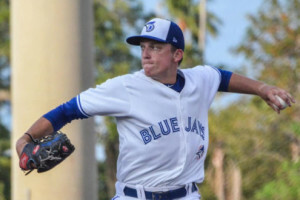 The Red Sox draw an exploitable matchup against Ryan Borucki and are playing in a hitter-friendly ballpark. Borucki may have a low ERA this season, but his SIERA suggests some regression moving forward. Not only that, but his numbers in the minors this year were mediocre at best. There are four batters in particular that are on my radar here and they make an excellent four-man stack. Mookie Betts, Steve Pearce, J.D. Martinez, and Xander Bogaerts all bat from the right side and all boast a .375+ xwOBA against left-handed pitching this season. The Blue Jays haven’t had the best results against Rick Porcello in the past. As mentioned above, their current roster has a collective wOBA of only .308 in over 350 plate appearances. From a splits perspective, Porcello is very tough on right-handed hitters — .298 xwOBA allowed on a 53% ground ball rate. The only hitter that is really on my radar here is Justin Smoak. Not only does he bat from the left side, but he is 10-for-37 with five home runs and two doubles against Porcello in his career.